Warsaw, 1940. The Jewish ghetto is under the Nazis’ brutal control. Hundreds of thousands of men, women and children slowly starve within the walls. But while all around is darkness, one man brings hope, caring for the ever-increasing number of destitute orphans in the face of unimaginable conditions. And, torn apart as the noose tightens around the ghetto, how will one young couple’s love survive the terrible tests of wartime? Half a million people lived in the Warsaw ghetto. Less than one percent survived to tell their story. 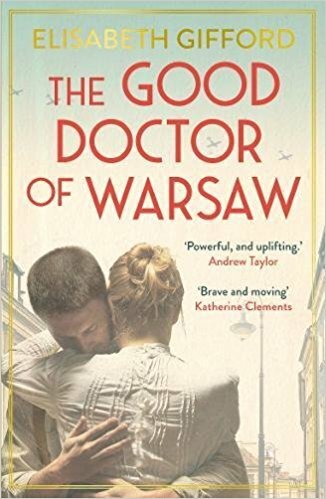 This novel is based on the true story of that young couple, and on the life of one of Poland’s greatest men, Dr Janusz Korczak.